Features: 3mm semi rigid Polypro shell with a Neolone padded top cover. it comes in your choice of full length or met length top cover. You can choose between 3 degrees extrinsic rearfoot post or no post. Non- skid bottom cover comes with full length. 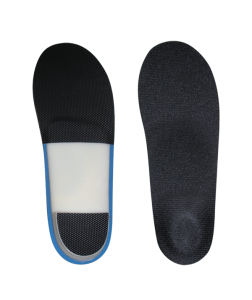 Non-skid heel protector standard with posting. This device is helpful for a variety of activity levels.